The headline of this Chicago Sun Times article is "Over a third of students entering college need remedial help." I encourage readers to browse the articles on this blog, going back as far as 2005, to find ideas that they might use to use maps to better understand what schools produce the most kids not prepared for college and to expand the non-school learning supports available to those kids. Sam Lee, an intern from IIT and Korea, created this animation to illustrate the infrastructure support all Tutor/Mentor Programs need. Play video at this link. This original blog article is the idea she is communicating. I attended a SAGETournament last Friday in Chicago where teams of student entrepreneurs from around the country were competing to see who would represent the USA in this summer's world competition. If we can find sponsors we could be engaging teams of young people and adults in a world wide competition to communicate T/MC ideas like Sam is doing, and to reward them for how these ideas are implemented in different communities! 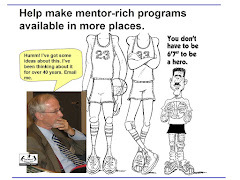 I encourage you to read this article titled Bridging the Chasm: Mentoring Across Differences. In one paragraph the author writes "One proven method to increasing cross-cultural competency is to enter into a mentoring relationship with someone who is culturally different. Research shows that by participating in such a relationship, both the mentor and the mentee, can increase their knowledge of other cultures, their awareness of themselves and others and learn specific new skills to adapt to differences. In the process, they become more culturally competent--developing the ability to interact respectfully and effectively with individuals of different backgrounds in other settings." If this is such a value, and a "proven method" where are the billionaires and philanthropic investors who would support volunteer-based tutor/mentor programs connect people who are culturally and economically different in on-going relationships? Where are people talking about this? Nathan Bootz, Superintendent, Ithaca,Michigan Public Schools, makes a powerful case for treating public schools like state prisons. Read the article on the Fireside Learning site. He says, "Consider the life of a Michigan prisoner. They get three square meals a day. Access to free health care. Internet. Cable television. Access to a library. A weight room. Computer lab. They can earn a degree. A roof over their heads. Clothing. Everything we just listed we DO NOT provide to our school children." Here's an article I pointed to in January titled "Got Dough? How Billionaires Rule Our Schools"
In this discussion on Fireside Learning, the writer talks about how super wealthy people like the DeVos Family are systematically trying to change the education system in this country. This morning I was given an article showing how a Turkish Billionaire seems to be following a similar strategy, aimed at changing the world to an Islamist world ruled by Shari‘a (Islamic law). Finally, in my Chicago Tribune I read words of wisdom from Oprah Winfrey, given to her millions of viewers on her final TV show. These all show how people with immense wealth and power are shaping our world. Is this good? Is it bad? How can millions of every-day people using social media and the internet combine their weight to create a different future than what these few billionaires envision? 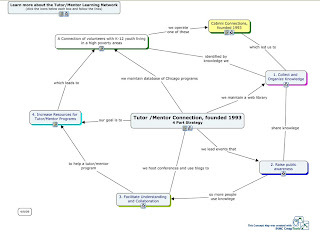 This graphic was created by Sam Lee, a new intern from IIT working at the Tutor/Mentor Connection this spring. She read this blog article, then created this interpretation and posted it on her blog on the Tutor/Mentor Connection forum. Interns from many colleges and high schools can be doing similar interpretations. 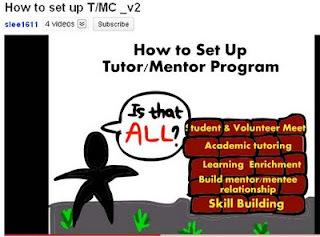 As they post them to their own blogs and the T/MC forum we can draw more attention to the ideas and more support to volunteer-based tutor/mentor programs in many cities. Learn about interns who have worked with Tutor/Mentor Connection since 2006. Contact the T/MC if you'd like to be involved. This image shows teens an volunteers at a typical Cabrini Connections tutor/mentor. Throughout each school year this program serves as a safe place in non-school hours where volunteers who don't live in poverty, but do have jobs and college degrees, can meet with 7th to 12th grade teens who do live in high poverty neighborhoods. These teens are not surrounded by family and community residents with college educations or who work in business and professional careers. That's what poverty is all about. These kids also don't have many places in non-school hours where they can use computers and participate in college and career readiness activities, or get extra help with homework. That happens at Cabrini Connections every week. As Mayor Emanuel's strategic planning teams begin to look at violence, education, safety, workforce development and other issues, we hope they use the maps and other ideas we share to build an understanding of what places in the non-school hours are connecting youth and volunteers with learning and technology the way we try to at Cabrini Connections. 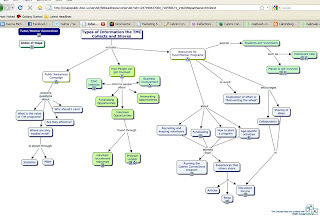 The map below is from the Program Locator that the Tutor/Mentor Connection has created. You can zoom into neighborhoods and click on the green stars to get contact information, or even web site links. 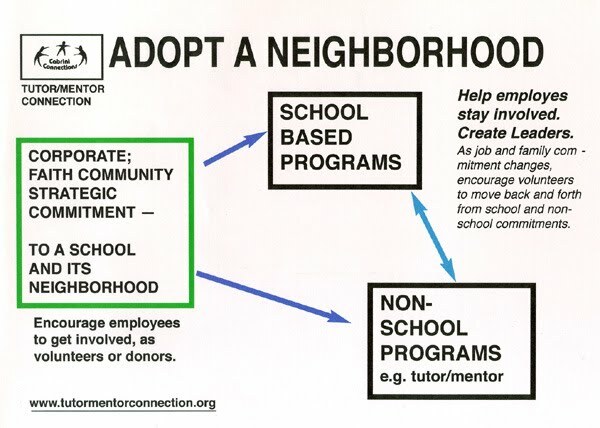 While much emphasis is on making schools better by improving teacher and principal quality, I feel a parallel effort must be make to make more and better mentor-rich non-school programs available for k-12 kids in high poverty neighborhoods. Such programs need to be on-going, not project based. Mayor Daley helped set up the AfterSchool Matters program a few years ago and it does a great job of helping existing programs have short term learning programs. However, this does not address the infrastructure needed to make a program a great program, and that would make great non school programs available in every part of the city and suburbs. This graphic illustrates our challenge. What most people see when they look at a non-school tutor/mentor program is the youth and volunteer connecting with each other. They don't look at what goes on at the agency to ensure that this is happening and that it is well supported on an on-going basis. We have over 200 programs in our database and each one needs a strong infrastructure which is only possible if there is consistent donor support. This is the role the Mayor and other highly visible leaders should be taking. Connect the people you know with the programs in the city that are already working with kids. Help each program build the operating infrastructure needed tohttp://www.blogger.com/img/blank.gif sustain long-term involvement of youth and volunteers. If this is happening on a parallel pace to efforts to improve schools we may send more kids to school more motivated to learn and that can have a greater impact on education than all the billions spent on teachers. 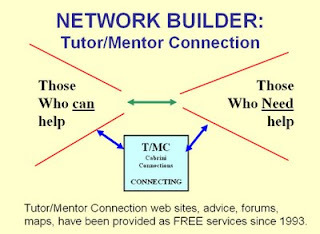 The Tutor/Mentor Connection has been aggregating this information for 18 years with an inconsistent base of philanthropic support. We're hosting our 35th Tutor/Mentor Leadership and Networking Conference on May 19 and 20 in Matteson, Il because we could not find a donor/sponsor to help us rent space in the city. If the new Mayor and those who support him will provide financial support to the Tutor/Mentor we can help build this parallel support system. You don't need to reinvent the wheel. You need to grease the one you already have. 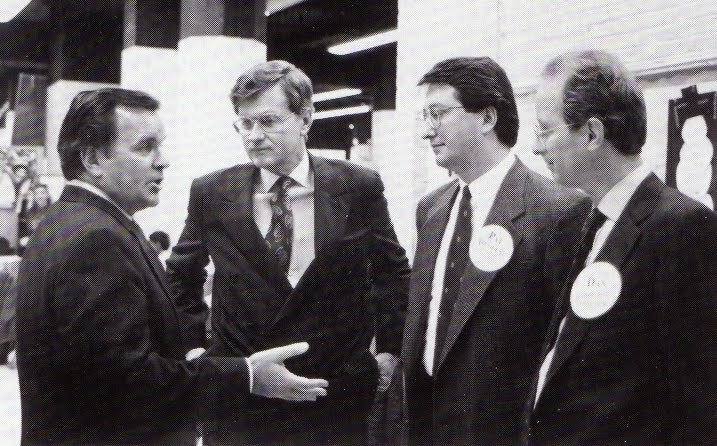 In 1997 I was one of 10 people to represent Chicago in the President's Summit for America's Future, held in Philadelphia. After that I was part of an Illinois Summit held in the Governor's mansion in Springfield. I had the opportunity to speak to a group of Mayors (Chicago was not represented) and I suggested that one way to build support for kids was to put a map of their city at the door to their office then ask each company who wanted a contract or financial award from the city to put a pin on the map indicating some place where that company was using its money, technology, knowledge and employee talent to do something that was helping Chicago kids move through school and into jobs. 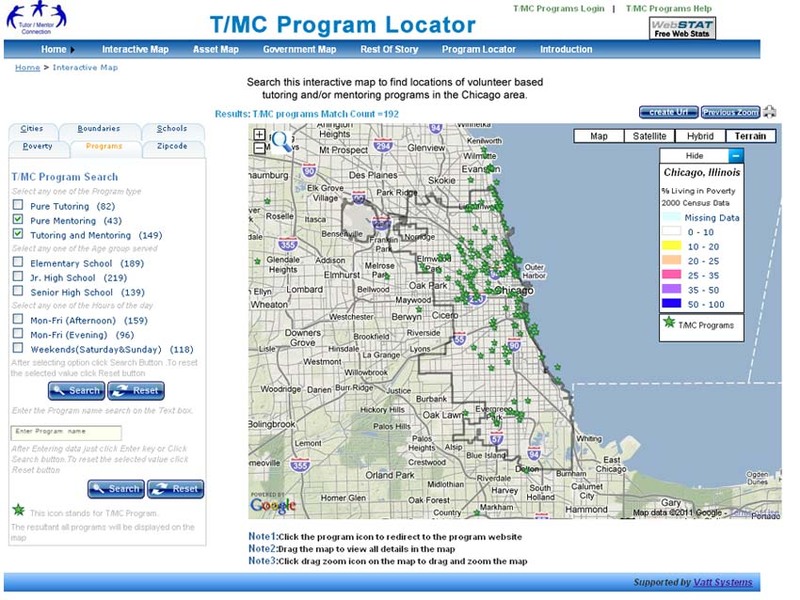 This map shows tutor/mentor programs in Chicago. Using the Interactive Map, companies can identify different tutor/mentor programs throughout the city and provide financial and talent support. If companies who do business with the city begin to put pins on the map showing where they are helping the city's kids, the Mayor would begin to be able to see where resources were well distributed and where more help was needed. Each year this map could be one demonstration of the Mayor's commitment to helping Chicago be the best city in the world for ALL kids to have opportunities for success in life. I've been suggesting this for many years. I've yet to see much evidence of mayors, or business leaders, using maps like this to build a distribution of resources to neighborhoods where kids need more help for many years. We received a $50,000 gift in late 2007 to re-build our mapping capacity. That money ran out in 2009. We would certainly appreciate another donor stepping forward so we can update the maps to 2010 census information and keep the information on them up-to-date. That way we might still enlist the Mayor and business leaders to use them. Rahm Emanuel takes office in Chicago tomorrow. In preparation he issued a 72 page Transition Plan. I've skimmed through the report and agreed with the preamble that says "Chicago can only succeed as a city if every part of Chicago succeeds. Chicago won't move forward unless we all work to move forward together." However, I see many opportunities to improve the plan and I'll share my thoughts on this blog, and in other on-line spaces over the next few weeks, months and years. I hope we can connect. Putting the lofty words of the Chicago 2011 Transition Plan into action starts with creating spaces where people from the city and the suburbs can add their own ideas. Furthermore, it requires planners and decision makers to move beyond their own circles of information to the places where others are aggregating information and thinking about these problems. The Tutor/Mentor Connection represents one source of information that the Mayor and his planning team and citizens of the Chicago region could draw from. The links in the T/MC Library, and the articles we write on blogs and in the Tutor/Mentor Institute can be used to expand the range of ideas anyone brings to this process. To engage millions of people in on-going learning and civic problem solving will require a comprehensive network of places where learning, discussion, innovation and action-planning is taking place. Trying to get everyone on one central site and provide meaningful interaction is still impossible. Thus, while we host information on our web sites, we also hosts conferences, such as the Tutor/Mentor Leadership and Networking Conference on May 19 and 20, where people can come together to build relationships, share ideas, and work collectively to be part of this complex solution. There's still time to register and attend this conference. However, we also host a discussion board and an online forum where people can connect and share ideas even if they are not from Chicago. If you know someone on the Mayor's team I encourage you to connect them with this information resource. If you're hosting a discussion of the Chicago 2011 plan, please share the links to your forum so we and others can join in your space. If you're an investor help us offer this platform so it is available to this and future Mayors of Chicago, and to Mayors of every other city in the country. 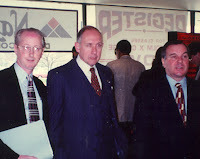 I wrote a couple of days ago about being one of several thousand people to visit City Hall on Monday and get a picture taken with Mayor Richard M. Daley. Hopefully this won't be the last time the Mayor and I connect. However, I wish we could have done more. 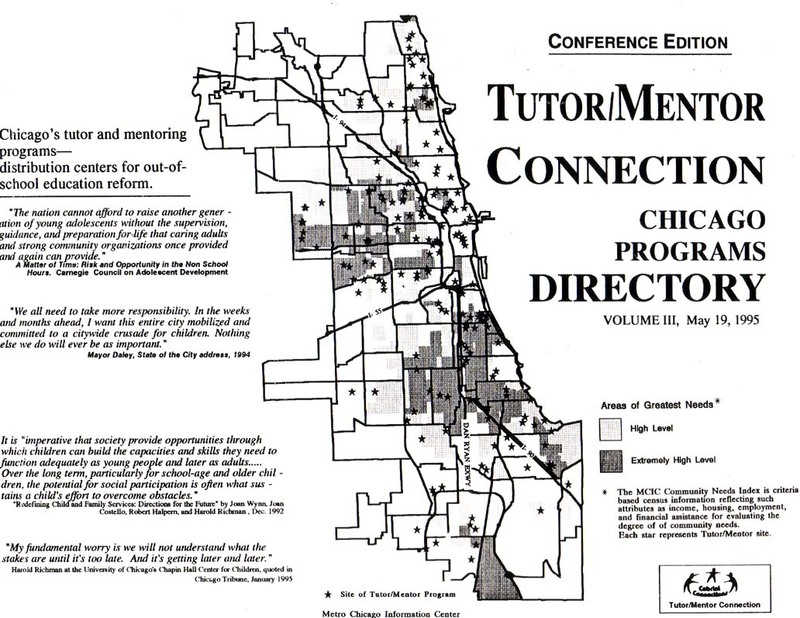 We started collecting information about Chicago volunteer-based tutor/mentor programs in 1994 and published the first printed Director in May 1994 when we held the first Tutor/Mentor Conference. 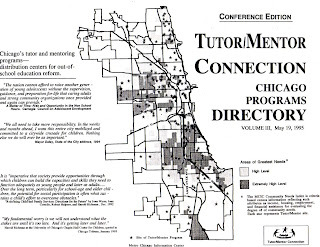 The front cover of the 1995 Chicago Tutor/Mentor Programs Directory is shown below. If you enlarge this you can see a 1994 quote from Mayor Daley's 1994 State of the Union message, where he said "We all need to take responsibility. In the weeks and months ahead I want this entire city mobilized and committed to a citywide crusade for children. Nothing else we do will ever be as important." I printed this Directory every year from 1994 to 2001 and sent a copy to the Mayor each time, along with copies to many others in government, business, philanthropy, etc. We've not had the money for printed directories since 2002, but have created an on-line version that potentially reaches many more people. In 1994 we began working in a joint effort with a group of lawyers at the Chicago Bar Foundation. We developed a strategy to try to increase visibility and raise money for all volunteer-based tutor/mentor programs in Chicago, with 10% of money raised funding T/MC activities and 10% funding Lend A Hand activities. One way we planned to raise money was by organizing a Tutor/Mentor Week around the annual November Conference. This proclamation was issued by the Mayor in November 1994. 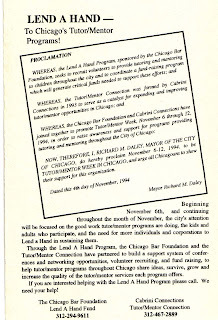 It concludes with NOW THEREFORE, I RICHARD M. DALEY, MAYOR OF THE CITY OF CHICAGO, do hereby proclaim November 6-12, 1994 to be TUTOR/MENTOR WEEK in Chicago, and urge all Chicagoans to show their support for this organization. 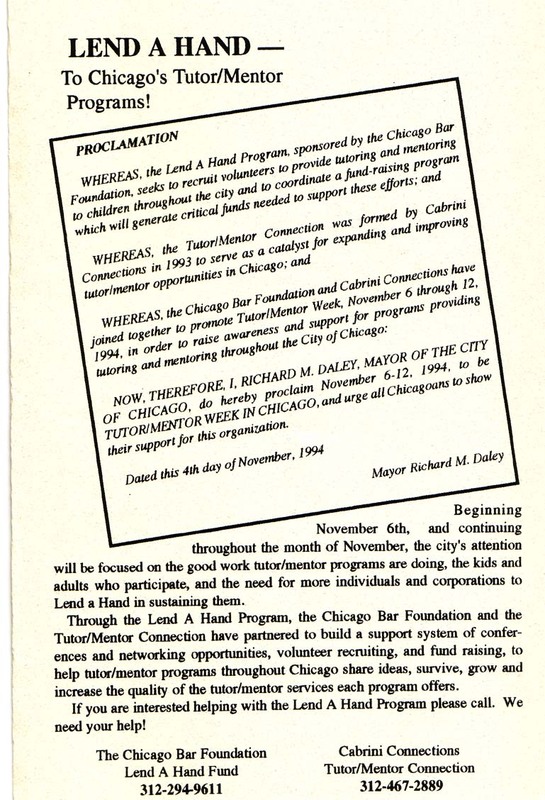 The Mayor issued this proclamation every year until 1999, then he was one of the lead signers of a Voice of the People letter that was generated each August from 1999 to 2002 to mobilize volunteers to support tutor/mentor programs. So we have had the Mayor's support. But we have not had his clout. While he can raise millions to get himself or others elected, he has not raised a dime to help make the Tutor/Mentor Connection a partner and force to support his Crusade for Kids, as it has attempted to be since 1993. Without this type of support we've not been able to obtain consistent philanthropic investment, and even our partnership with the lawyers has eroded, even though our collective efforts led to a $2 million award to the Lend A Hand Program in 2006 that has resulted in more than $225,000 awarded to different Chicago area tutor/mentor programs in each of the past few years. The Tutor/Mentor Connection received $30,000 in 2007 and 2008, but this is too little to have the impact we need to have in the third largest city in the country, and was not continued after 2008. So as Mayor Daley leaves office and Mayor Emmanuel launches his own commitment to Chicago's kids, the Tutor/Mentor Connection is hanging on a ledge, potentially disappearing, and potentially becoming a partner to the next administration. Pick up the phone. Make a few calls. Send some money. We want to help the new mayor, and the old mayor, keep their promised to Chicago's kids. How to Hurdle the Achievement Gap - by Corinne Gregory on the Social Smarts web site. At the Tutor/Mentor Leadership and Networking Conference on May 19 and 20 we'll focus on collective actions that leaders can take to generate the greater flow of resources needed to build and sustain more mentor-rich volunteer-based programs in high poverty neighborhoods of Chicago and other big-city regions. 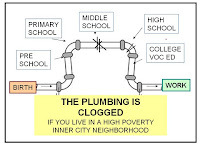 Once we focus on the opportunity gap, let's focus on the actions needed to close the gap, and not turn back to the old "build better teachers" strategies that do little to change the social and emotional and mentoring supports available in highly segregated, high poverty big city neighborhoods. Clarence Page wrote a column in Sunday’s Tribune, talking about the strength of decentralized organizations, using the book titled “The Starfish and the Spider” by Ori Brafman and Rod A. Beckstrom, as a reference. "What do they have in common?" asked Page. “Loosely defined organizational structure, widely shared power and a leadership that acts as a motivational catalyst, not a top-down command structure”. I was given this book as a gift a few years ago by Rebecca Parrish, a volunteer who led our video program for a year. 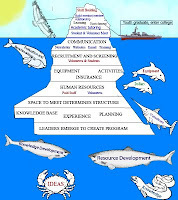 I’ve referred to it often, here, and here, because it describes the organizational strategy of the Tutor/Mentor Connection. I wrote this Network for Purpose article on May 8, 2007. In a big city like Chicago there are too many “silos” and power brokers to expect many to follow the lead of a single tops-down leader, even if that leader is the Mayor, or a local billionaire. Expecting all of these people to follow the T/MC in a tops down structure would be more than crazy. However, building shared ownership of a vision, such as helping poor kids to careers, is possible. In the Starfish and the Spider the authors write of blended strategies, like eBey, have created internet platforms that millions of users can use. 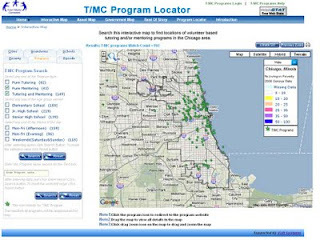 The T/MC has created a knowledge-based platform that anyone in Chicago can use. At its core is a database of organizations that provide various forms of volunteer-based tutoring and/or mentoring in non-school settings. Over years I've heard many leaders talk about "pipelines" to careers. 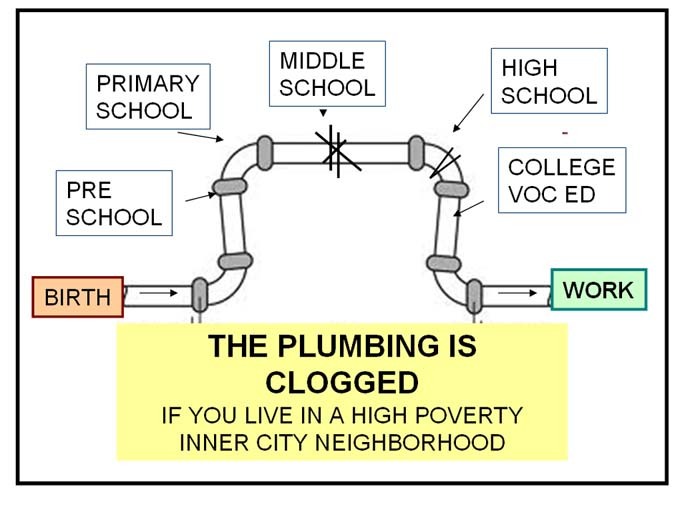 In my opinion, “the plumbing is clogged” by the bureaucracy of big city public school systems and the lack of non-school learning and mentoring programs in high poverty neighborhoods. We can either try to fix the clog, or we can open a new channel to reach kids. 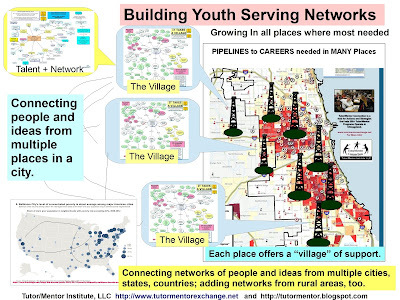 If we provide links showing how some people are already reaching kids in new ways, and how others are providing the dollars and the leadership, any leader who shares the same vision and mission can use this information to innovate ways they can reach kids, and choose places on the map of Chicago where they want to anchor one end of their pipeline. The type of knowledge base the Tutor/Mentor Connection has been building since 1993 is intended to aggregate links and information showing “what others are already doing some place in the world” that could be duplicated in many other places if the talent and money were available. 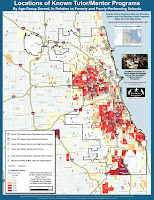 We use maps to inspire thinking and actions that make high-quality learning programs available in all of the poverty areas of the Chicago region, not just a few locations in a few neighborhoods. Because we host this others don’t need to do the as much work to find these ideas. They are all in one place, and a network of links to other sites. With this information leaders can build teams of learners and innovators who use this information to constantly improve their own efforts. If we can capture what is being done each year, through research, or awards, it can be shared so that every year innovators in many places can improve their own efforts by building from the work being done elsewhere. The T/MC platform is not well funded. In fact it is broke and at risk of going extinct. Yet it is available and it is a model that is already visited by people from all parts of the world. It is the heart of what we hope is a growing network of leaders who share a deep commitment to closing the gaps between rich and poor in the world. Our challenge is innovating ways to increase the number of people who look at this information every day. This is the challenge every leader has had since the beginning of time. Innovating new ways to solve this problem involved applying ideas pf decentralized ownership as describe in books like The Starfish and the Spider. If we can enlist more people to share this information daily, we might get the attention of the billionaires meeting in Arizona last weekend. Support from just one of you would suffice. Or we can get the attention of big-city leaders like Mayor Emmanuel who has linked his tenure in office to educating all of Chicago's youth. "Sunday, 5/8/2011 Chicago Tribune Editorial!" The Mayor needs to think like the leader of a decentralized organization. He help from individuals and organizations throughout the Chicago region. If enough leaders adopt some of the ideas we share, and help build a system of volunteer-based tutoring/mentoring and learning programs that reach kids in non-school channels, maybe we can help him keep his campaign promise. If you agree with these ideas please attend the Tutor/Mentor Leadership and Networking Conference on May 19 and 20, or encourage people you know to attend. If you can provide dollars to help pay for the conference and the T/MC, that would help also. Like the Mayor, we also need help from many owners throughout the Chicago region and the world. At Thursday's Education Nation summit I heard the co-founder of Groupon, Brad Keywell, talk about how difficult it was for him to have his offer to help a local Chicago public school be accepted. The Principle said "call the central office". He did not give up, and as an entrepreneur, he innovated a way to make direct contact with a teacher and a classroom. In many neighborhoods the public school is a dinosaur that prevents community organizations and businesses from becoming involved with kids. When this is the case I say, "open a new channel". Connect with them in the non-school hours and/or through the internet. One organization that I just met today, who is doing this is The Center for Educational Pathways (CEP), based in New York City. CEP is a nonprofit organization that establishes alternative pathways to literacy, learning, and character development for underserved youths, schools, and communities. CEP develops curricula, professional development, and new media resources for student populations most in need. By partnering with schools and community-based organizations, CEP reconnects children to a love of learning through creativity, inquiry, entrepreneurship, and civic engagement. CEP has four separate but closely related objectives. You can see a CEP Youth Music Exchange program at Manley High School in Chicago. In the Role of Leaders essay we encourage CEOs to create learning teams who use the T/MC web site and similar resources to learn where they can get involved and ways they can use their people, technology, dollars, and visibility to help these programs have the operating resources to be more effective partners to the company and mentors to the kids. There are many ways companies can support learning if they think out of the box. We're here to help you and want you to help us in return. I attended the NBC Education Nation event at Chicago's Field Museum last night. During the reception I was standing by the podium when Mayor Richard M. Daley came up to give his remarks. I shook his hand and said "Good to see you again." I'm not sure he recognized me, but the photo at the left is from the first time I met Daley, back in 1990 when he visited the Cabrini Green Tutoring Program hosted at the Montgomery Ward Corporation. I had led that program since 1975 (see timeline). We had just converted it to a non profit. In the photo with us is Bernie Brennan, the CEO of Wards at that time, and a huge supporter of the tutoring/mentoring program. I remember this night not just for Daley's visit, but because it was the night the US began bombing Iraq in the first Gulf War. We all commented about how significant that was. I've met Daley often since then and have met with people on his staff. But I've never been able to really connect, to the point where he would be an http://www.blogger.com/img/blank.gifadvocate and leader for the ideas we express through the Tutor/Mentor Connection. He was a speaker at the Tutor/Mentor Conference in May 1997.We're doing the next on May 19 and 20 in Matteson, Il. It's in the suburbs because there is a growing level of poverty in these areas and because we've never been able to raise the money needed to build these conferences in Chicago. Yet, when he passionately said "There has to be a culture of learning" in America, he was preaching to the choir. However, while he might have intended this learning to be focused on getting job skills and a good education, I focus this on problem solving, innovation, and finding new ways to help kids living in poverty be starting jobs and 21st century careers by their mid 20s. Maybe I can have more success with the new Mayor. I created this video to suggest ways he could lead the Tutor/Mentor Connection strategy as part of his own commitment to improve education outcomes for Chicago kids. There were more than 1000 people at the Museum last night, but how many of them will ever connect with each other in collective actions aimed at helping kids in all poverty neighborhoods, as well as every other kid, remains to be seen. I'm off to another meeting in a few moments, hosted by the Jane Addams Hull House Association, where the topic is building a collective effort to help overcome the education gaps in Chicago. Same goal as Education America. I wonder how many of the same people will be attending. 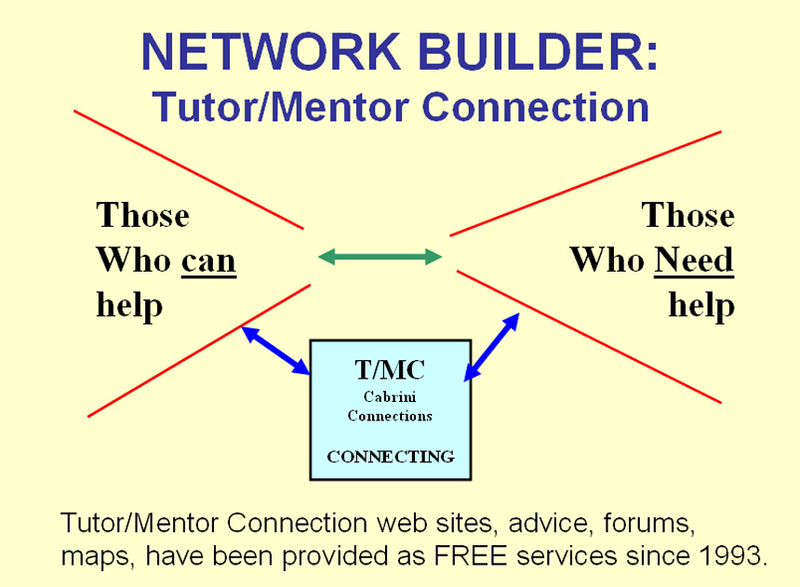 Just do a Google search for "tutor mentor" and you can all converge on information we share. Jayne Cravens, who has been a voice of volunteerism for more than a decade, wrote this article on Linked In, under the title "Corporations: Herehttp://www.blogger.com/img/blank.gif's What NonProfits Really Need". In the article she pointed to this essay on the Stanford Social Innovation Review, written by Kelly Kleiman, who blogs as The Nonprofiteer, is principal of NFP Consulting, which provides strategic planning, Board development and fundraising advice to charities and philanthropies. If written about the need for more consistent support for non profit tutor/mentor programs for many years and I host a collection of links in the T/MC library intended to help resource providers and volunteer leaders better understand these challenges. This Newsweek article, titled "Back to School for Billionaires" shows the impact of over $4.4 billion in spending over the past decade. story was reported and written by Center for Public Integrity. If just one billionaire were putting his money in non-school tutor/mentor programs, focusing on "tipping points" and leadership ideas that I've written about over the past few years, maybe the rest of the money that was spent on schools would have a greater affect. 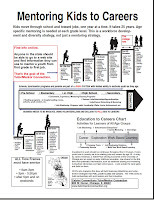 I've used this "mentoring to careers" chart often to illustrate a funding strategy that needs to reach kids as early as first grade and stay connected to them through high school and beyond if the youth is living in one of the segregated, high poverty neighborhoods of Chicago or other urban areas of the country. One of the foundations mentioned in the Newsweek article was the Walton family of of WalMart fame. If they just applied the same thinking that has put WalMart stores in neighborhoods all over they country, they could spur the growth of high-quality, mentor-rich youth programs in high poverty neighborhoods. This means they help identify places where programs are needed, help build programs in those places, and help provide the talent, dollars and technology each of those places needs to attract youth and volunteers and keep them coming back for many years. Yet, who can point to teams in big corporations who are using this concept to help volunteer-based tutor/mentor programs be in all neighborhoods with low performing/high-drop out schools?